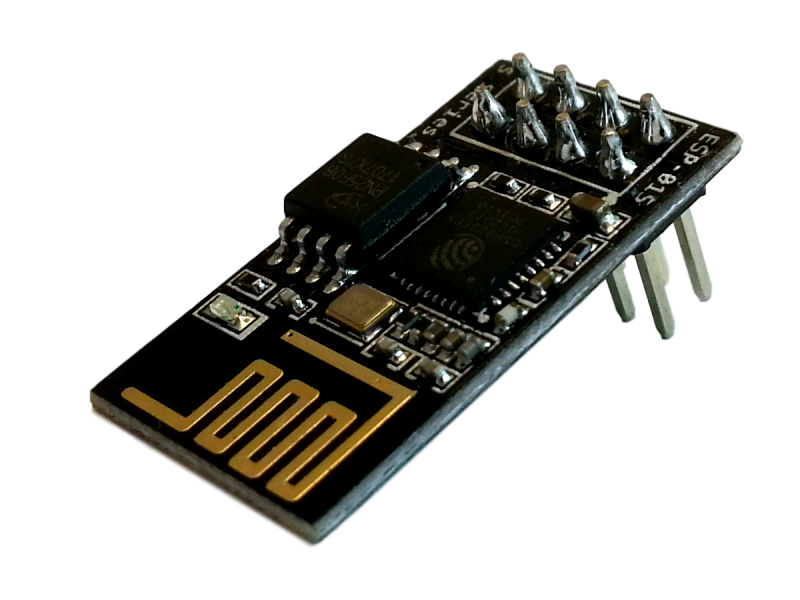 The ESP-01S ESP8266 WiFi Module is a self contained SOC with integrated TCP/IP protocol stack that can give any microcontroller access to your WiFi network. The ESP8266 is capable of either hosting an application or offloading all Wi-Fi networking functions from another application processor. Each ESP-01S module comes pre-programmed with AT command set firmware. ESP-01S is an extremely cost effective module with a huge, and ever growing, community. This module is not capable of 5-to-3V logic-level shifting and will require an external Logic Level Converter. Do not power it directly from your 5V dev board! Note that this module is not FCC-approved.